I used to struggle teaching Instruments and their Families to my students because I never got all the sound files put together in one place and my pictures were black and white, or my computer wouldn’t work and I couldn’t access the cool sites available. So I put together a blog post with 4 lesson ideas to solve all those problems. Now it’s easy to teach instruments in music class. 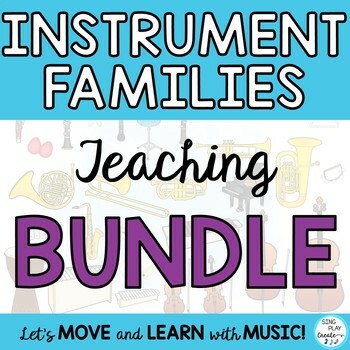 Instrument Families Resource by Sing Play Create for music teachers in grades K-6. This resource includes games, a story, posters, flashcards, activities and teaching pages- and SOUND FILES! Power Point with Cards and Sound Files for all Instruments. Description of how each Instrument Family makes Sound. Set of Instrument Family and (49) Instrument Cards with the names and without names. Activities are in Black and White Printables. Print in Grayscale for fantastic Black and White Graphics. Here’s some of the things you’ll find in this resource! You’ll find that this bundle of pictures, games, activities, and worksheets gives your students diverse and interactive learning opportunities. After all, you want to reach all learners and have fun! Believe me, your students will be able to recite and to identify the instruments and their families after they see what they look like, listen to how they sound, understand why they produce that sound, and how they belong in an Instrument Family. Remember, the activities are adaptable for K-6th grade. One activities with private students. 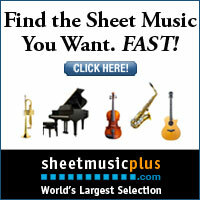 DSO KIDS- although they sell things too–great resource for composer info and pictures. San Francisco Orchestra Teaching Kids Site-You’ll find the seating chart, the sounds, and games. Also a bit of history about the instruments. CLASSICS FOR KIDS-Seating chart, sounds, games and explanations about the instrument. My students absolutely love this fun story book. The graphics and story line are delightful! I’ve heard this book is a great resource to use during instrument lessons. And who doesn’t like animals? This one comes highly recommended. It definitely looks informative and a good way to introduce the variety of instruments in the orchestra. I’m hoping that these Instrument teaching ideas help you in your music classes! Please share with your music teacher friends!